What does the word ‘fray’ mean to you? This is the question we are asked by John for the Weekly Photo Challenge. Then I discovered that ‘fraying‘ is what a male deer does when it rubs up against a bush or small tree with its head in order to remove the velvet from its newly formed antlers, or to mark territory during the rut. I love it when I learn something new like that! Apart from the most obvious meaning of ‘fray’ as in loose threads and the worn ends of a rope, on a metaphorical note, I’ve felt a little ‘frayed’ around the edges lately. Poor Primrose – hopefully it shall return! 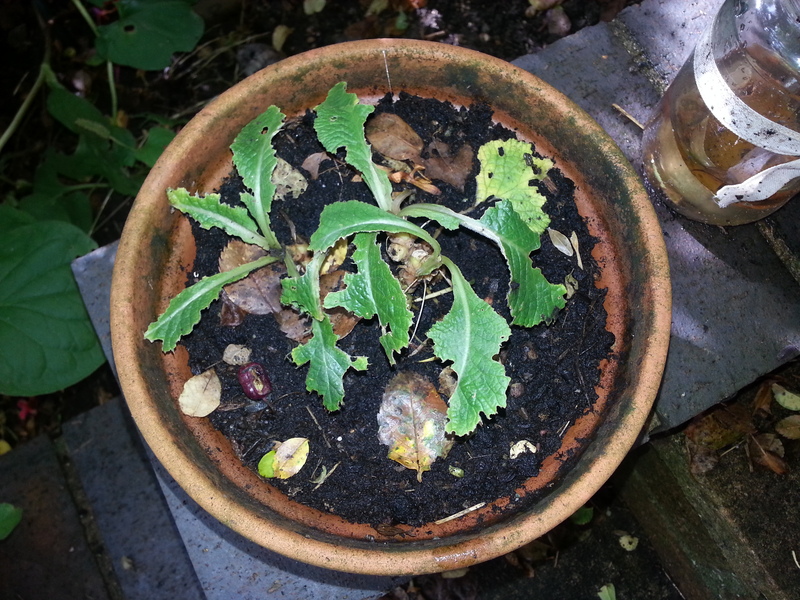 A disappointing year for my hollyhocks…talk about frayed! Another bloom before summer leaves maybe? As I walked through my garden this morning, a little battered after recent rainfall, I took heart in all that is good in the world. The ‘fray’ is a tough place to enter but when we come out the other side, we are lit up once more, darkness descends and so we carry on. 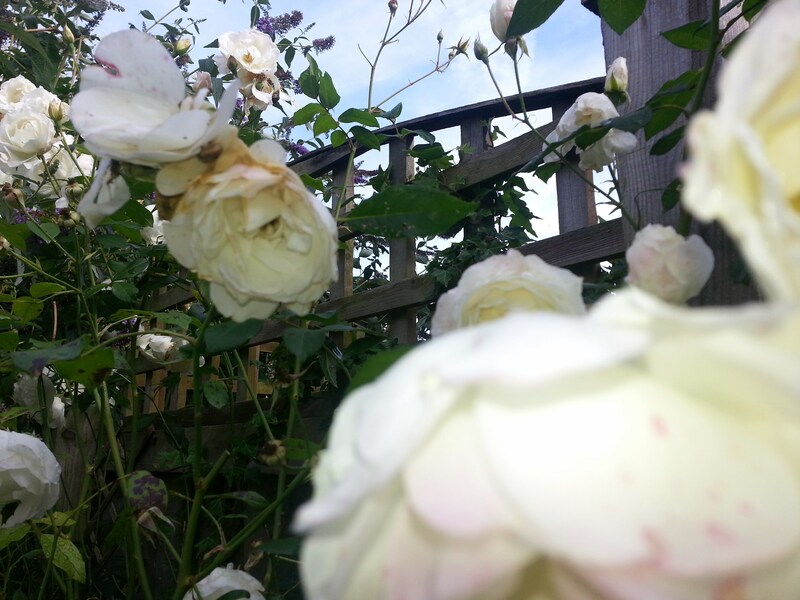 This entry was posted in Garden Snippets, Nature & Wildlife, Weekly Photo Challenge and tagged Beauty, Deer, English Garden, Fray, Garden Snippets, Gardens, Nature & Wildlife, postaday, Roses, Snails & Slugs, The Fray, Weekly Photo Challenge. Bookmark the permalink. When I hear the word “fray” my mind immediately goes back to age 12 and my needlework lessons. I had a dragon of an old teacher called Mrs Gorrell. We had to make our aprons for the domestic science lessons we also had to endure. They were to be made from gingham, and we had to tack the hem and roll the flaming seams to make sure the edges didn’t fray. Obviously mine did – and the punishment for this was to be rapped over the knuckles with a pair of pinking shears and told to do the wretched thing again. I can’t hear the word fray without flinching. That teacher is probably the reason I hate anything to do with sewing. I even loathe sewing buttons back on. Our domestic science teacher wasn’t much better – I think she put me off cooking for life! Ah, the gingham apron – I remember that lesson! My first image in my mind when hearing “fray” is a loose thread being pulled from some clothing and fraying the edges. Your pics are great even though your plants are doing the best, Sherri. All the stuff I planted last year is pretty much dead now. We are just not watering much except the huge trees here. Yes, I was going to post a photo of my cat’s scratching post, lol! That is frayed big time! It is only because of the rain Patsy. We had a few weeks here where it was really hot and dry and I hated to have to use the hose with water being so darn expensive. I remember one house we lived in in CA that didn’t have sprinklers and the lawn died back every summer. Then, when the rain came it came back to life like magic. I really do hope you guys get lots of rain this winter, I know how badly you need it. That’s funny! A scratching post pic would be great! 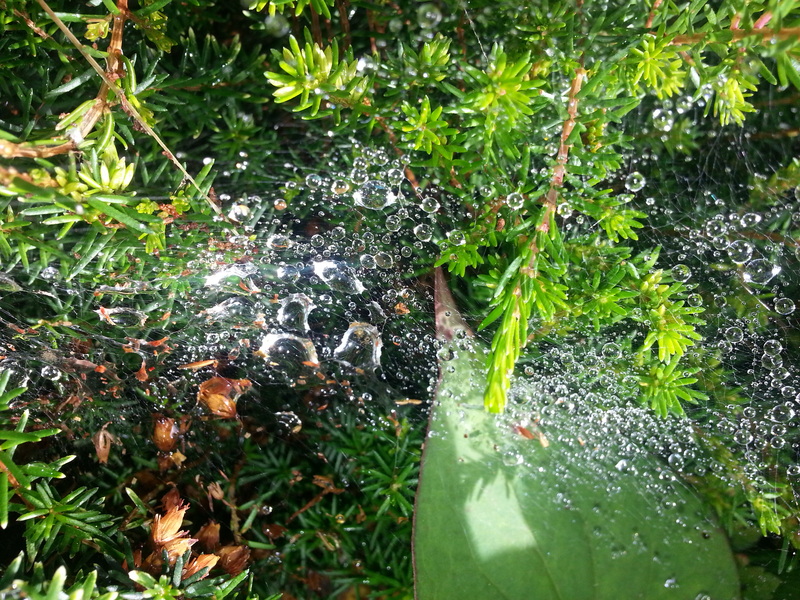 We have to set out sprinklers which is time-consuming. I gave up this summer trying to keep it all alive. I just hope we get a wet winter! I know everyone else says the rain will bring it back, too. Your slugs and snails have been busy here this year too, my poor Hostas are looking extremely frayed! Love your phrase “With summer beginning to pull the covers over its head and autumn knocking on the door…” how apt! I was just about to say the same about hostas. In my neglected gardens, the slugs had a field day with our green hostas, although I have to say the variegated ones came out not as badly. For this time of year you have some lovely blooms going still, Sherri. Yes, definitely not a good year for hostas either. Interesting though that your variegated ones did better. I wonder what it is about those that the slugs don’t like quite so much? I am forbidden by daughter (cheek!) to put slug killer down (although I heard they love beer so makes for a good trap in jars but not tried it!) because of the cats (she has a point) and because she says it’s cruel (she has recently acquired an African Land Snail as a pet…but let’s not go there… ). Hearing about the deer puts me in mind of my gran. She was always itching and scratching – probably had eczema or something I wasn’t told about – and had an ivory back scratcher. If however it wasn’t to hand she would rub up and down against the door jamb saying ‘God bless the Duke of Argyl’. She told me he put up posts to Mark the boundary of his property and the deer and cattle used them to rub against. Ever since if I scratch an irritating itch I say Gran’s little saying. So movingly true my friend. Yes, life will bring us so many fray moments. They may be hard. They may even break our hearts but at the end of each tunnel, we emerge victorious. Stronger, wiser, better than ever. With each heart break, a new light and joy fill our spirits. Yes, in so many ways, we share similar wavelengths my friend. Wavelengths that made me see that I am not alone in my struggles, battles and victories. God bless you and your family. As Summer ends, hope that the many fresh signs of Autumn blessings come your way. Beautiful! You taught me a new meaning, too–I didn’t know about bucks fraying their velvet from antlers. 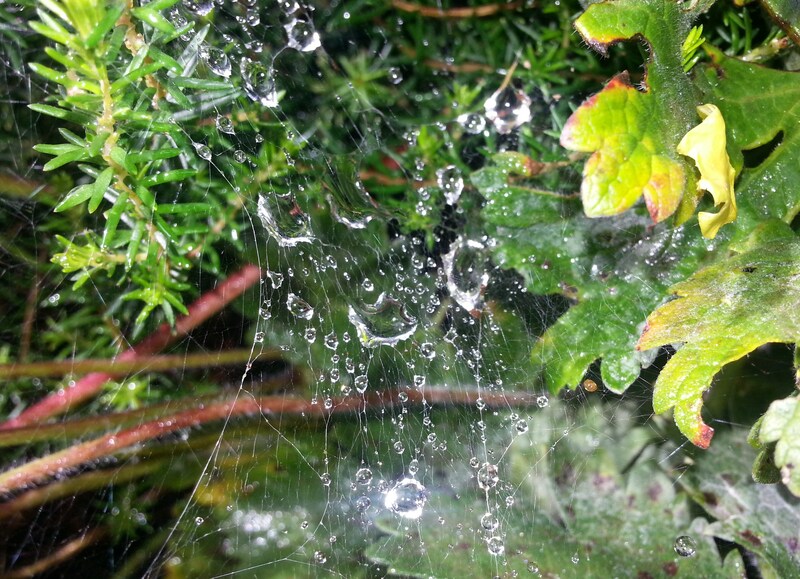 Your words and photos meld like those diamond-drops upon cobwebs! Love this post! What a poetic meditation on a word with so many meanings. The photos made me consider looking more closely at blight, in some cases ;). As far as frayed around the edges. That is how I have been feeling. I can’t keep up with all the “stupid stuff” that keeps coming up and wonder at what point the pace of keeping up with all the phone calls and emails becomes more than I can handle. 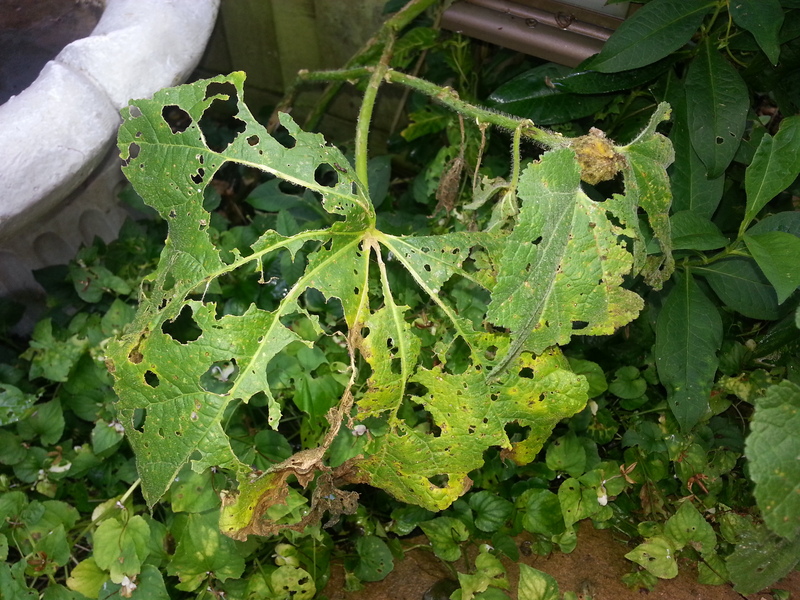 Sorry about your plants…DFD has been battling the slugs this summer. Oh Sherri, I love that song too! I’m happy to hear there is still life in the garden, Sherri. I’ll look forward to more pictures. Oh yes, DFD tried everything in his battle against the slug. He lost a few Marigolds, but overall, his flower garden is beautiful. He is the gardener in this relationship…he loves his flowers and shrubs. A very appropriate, yet very sad, entry into the Weekly Photo Challenge, Sherri. I’m so sorry that those darn snails and slugs declared war on your garden. It was so beautiful last spring! All summer, I’ve been trying to deter two very large dogs from digging in my garden. Unfortunately, I’ve failed more than a few times, and the dogs have dug up more than a few flowers. Oh well, there’s always hope that next year’s garden will fare better… right? Beautiful, beautiful way to express fray, Sherri! Love it. What a beautiful post, Sherri! 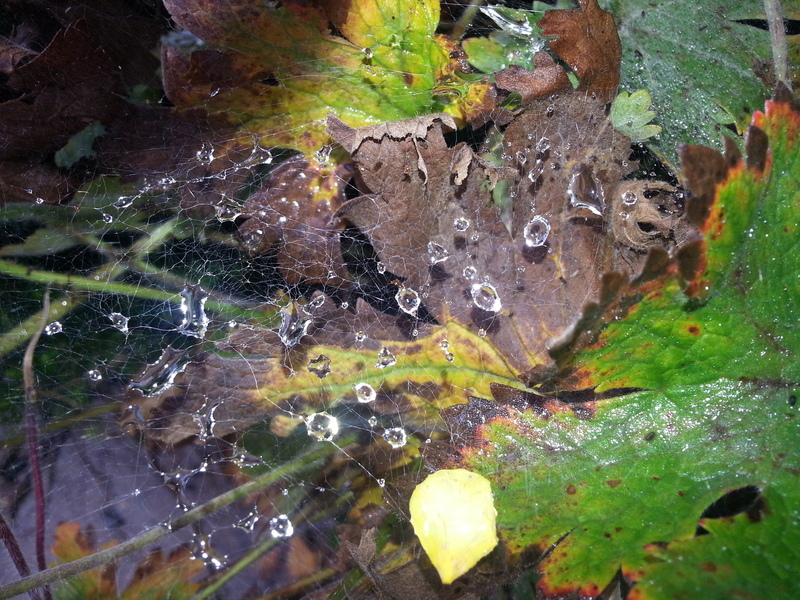 I loved the photographs with the droplets on the web. My garden did not as well this year. I think our harsh winter and unusually cool summer confused my plants. Regardless, your last sentence says it all. We CAN carry on 🙂 Enjoy your weekend! I love it that you see beauty even when nature plays bad jokes in our gardens. Your optimism is contagious and I love your blog for this infinite love you have for less than perfect things of life. Thank you, Sherri. I love that track, Sherri, and it’s one of those I’ll keep right on singing. 🙂 Love your whooshy raindrops too! Yes, it does seem that they are cut from the same cloth…sorry, had to say it, groan, I know…! I don’t know what it is/was about them. I’m glad my mum taught me the ‘right’ way of doing things, even if my needlework teacher didn’t approve, otherwise I would have been put off for life. I’m so sorry about your garden slug damage, Sherri, but I’m still smiling at your opening question. In grade school I took piano lessons immediately after a boy whose last name was Fray (and spelled that way). He hated playing the piano and did all kinds of things that drove the piano teacher to distraction, like burping at the end of a practice stanza, just under his breath, and then telling her he thought the motor on her freezer was about to explode. The rest of us waiting for our lessons had to sit quietly on straight-backed chairs as the “audience,” and we didn’t dare laugh. I remember she got a ruler and followed through on her threat to whack his hands if he didn’t play his scales correctly or if any more “freezer sounds” happened. He sneezed on the keyboard, and when she went to get a cloth to wipe it off, she returned to find the ruler had magically disappeared. So your question asking about “Fray” took me to a little bungalow where one 4th grade boy drove an experienced piano teacher to early retirement. I love the photos, Fray for me is an interesting word, fray seems like a bit of a hectic ruckus, I also think it gives character to things as well, mostly my jeans and my hair lol…I think it gives things something interesting to look at…perhaps that is me but I do love little quirks. Now I think on it, I am yet to see a sedate ruckus, lol. Frayed is how I’m feeling right now. With so much to do and so little time and life does seem a battle. 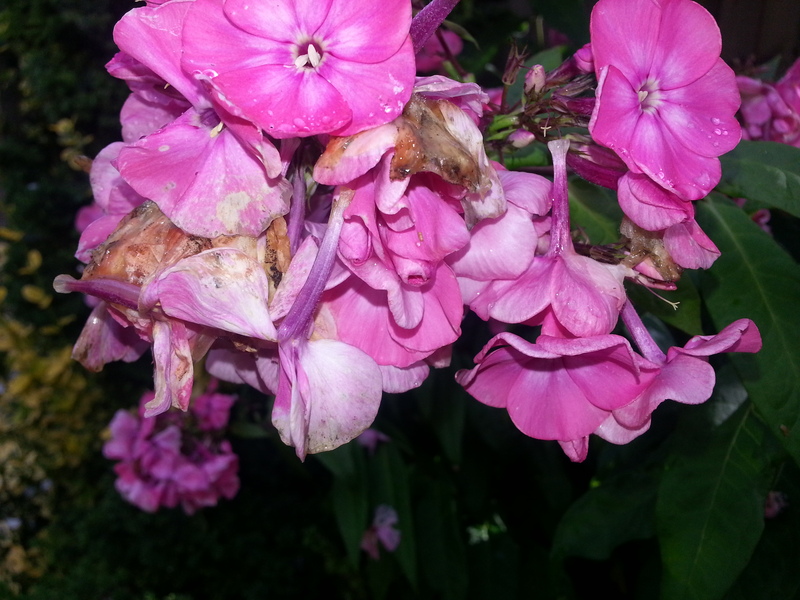 I must be looking a little frayed too and my garden certainly is after suffering so much neglect. I’ve never really thought about the different meanings of the word but it seems most of them apply to me right now. “Fray” is one of those English words which sounds like its definition. Your slug eaten garden is a good reminder that there is beauty and strength in the midst of the daily battle to survive. The word fray reminded me of this film by Liam Neeson, ‘The Grey,’ where at the last scene of the film, the poem ‘Into The Fray’ was read by Liam. Fantastic movie but apart from that, I’m so busy right now I’ve not blogged for over two weeks! The kids are back in school; I’ve missed so many deadlines at work… The List is endless. 😦 But like you wrote, ”the ‘fray’ is a tough place to enter but when we come out the other side, we are lit up once more, darkness descends and so we carry on. Thanks for another wonderful post my friend! The Fray and I are old friends – a lot of history, sometimes I think too much. Beautiful pics, you have an eye!